Tom Rob Smith graduated from Cambridge in 2001 and lives in London. Child 44 is his first novel. Tom Rob Smith is a 28-year-old screenwriter. He graduated from Cambridge in 2001. CHILD 44 is his first novel. "This is a truly remarkable debut novel. CHILD 44 is a rare blend of great insight, excellent writing, and a refreshingly original story. 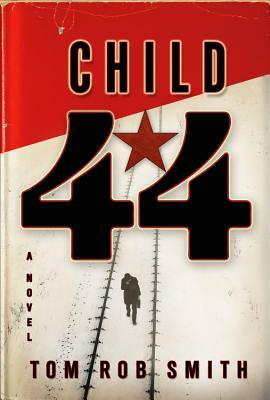 Favorable comparisons to Gorky Park are inevitable, but CHILD 44 is in a class of its own." "An amazing debut-rich, different, fully formed, mature . . . and thrilling." "CHILD 44 is a remarkable debut novel-inventive, edgy and relentlessly gripping from the first page to the last." "Achingly suspenseful, full of feeling and the twists and turns that one expects from le Carré at his best, CHILD 44 is a tale as fierce as any Russian wolf. It grabs you by the throat and never lets you go." "CHILD 44 telegraphs the talent and class of its writer from its opening pages, transporting you back to the darkest days of postwar Soviet Russia with assured efficiency and ruthlessly drawing you into its richly atmospheric and engrossing tale."